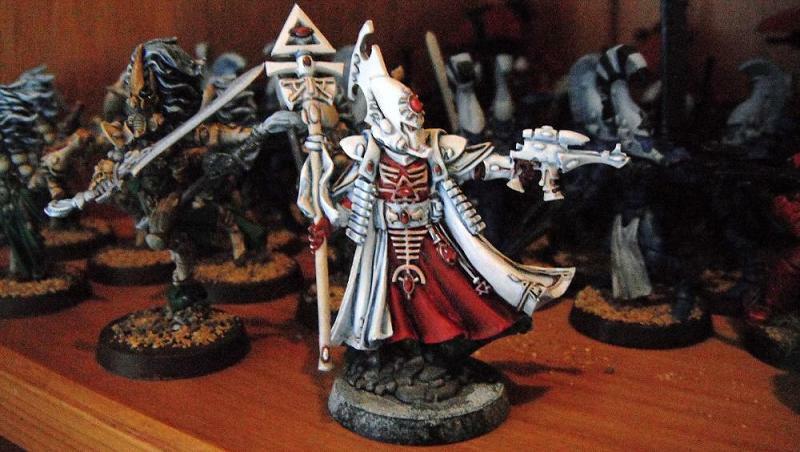 A Farseer with Witch Staff and Shuriken Pistol is an essential unit for the Eldar. The Fortune and Guild powers can be used to bolster the abilities of either the dire avengers or Guardians. This model was given a white undercoat. Blue ink has been painted into the recess to create shading. The red is a Merchant Red Scorched Brown mix, worked up with Beached Bone. 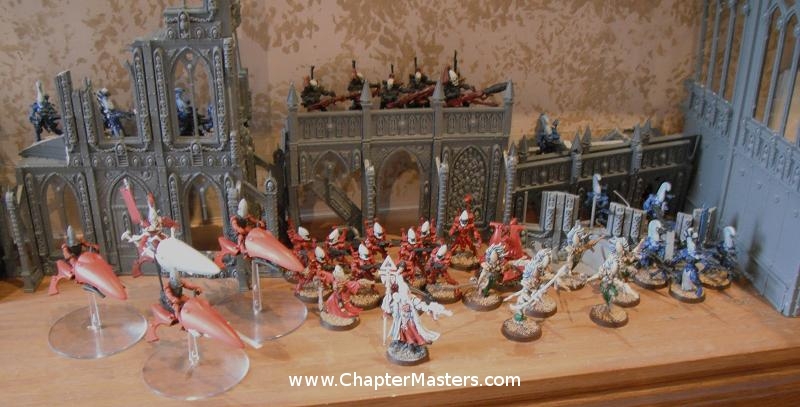 This Eldar army has been painted as quickly as possible to get to a game worthy state. These models have been given a black undercoat and then sprayed with skull white from a high angle to create light and shadow. The guns were painted with gold and then given a brown wash along with the white armour. Their hair was given a blue wash. I guess these are old girls as they have a blue rinse. The swords have been painted with chainmail and washed with black. The sashes were painted green and then given a green wash.